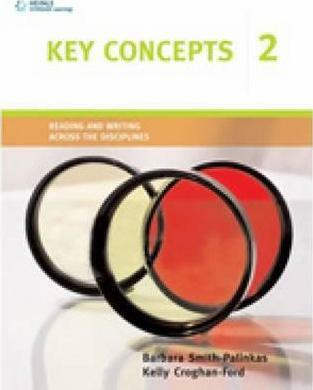 Key Concepts helps students master the academic content, academic vocabulary, and academic reading and writing skills they need to succeed at college. Barbara Smith-Palinkas is an English for Academic Purposes instructor at Hillsborough Community College in Tampa, Florida, where she teaches academic writing to advanced-level students. She has co-authored several grammar and reading/writing textbooks. She received her M.A. from the University of Wisconsin - Madison.